The ikan STRATUS Complete Cage for Sony a6500 is a form-fitted cage that can fully surround a Sony a6500, a6400, a6300, or a6000 mirrorless camera. 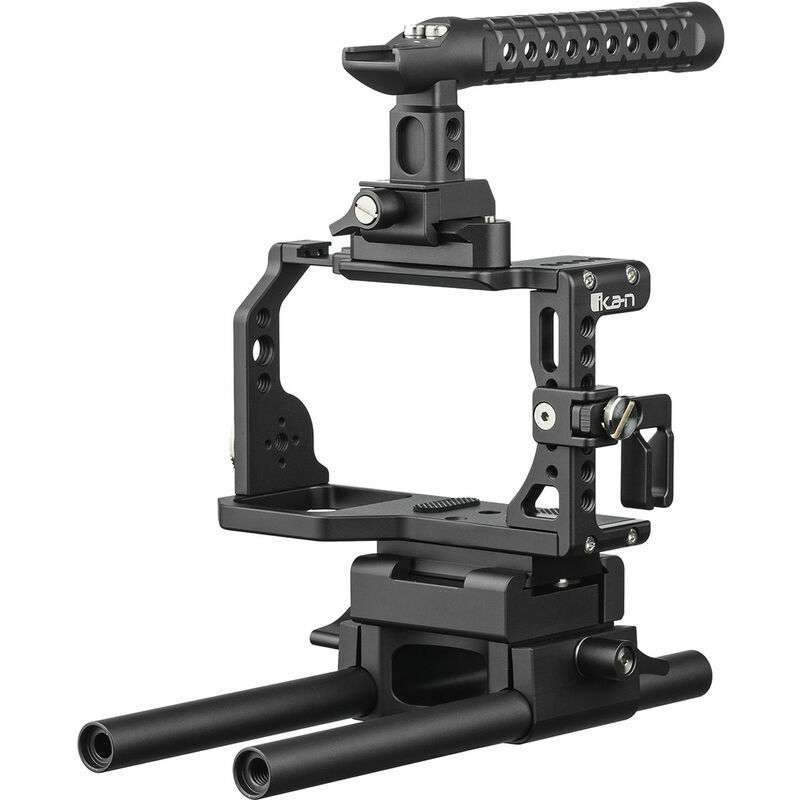 The cage section of the STRATUS is based on an Arca-Swiss plate, allowing the cage to be secured to any Arca-Swiss compatible tripod. Surrounding the cage are 1/4"-20 and 3/8"-16 threaded holes, as well as a shoe mount and an ARRI rosette for securing articulating arms, handles, or other essential accessories. At the top of the cage is a NATO rail for clamping the top handle. The top handle has a shoe mount and, for improved grip, can accept a bicycle handle grip. Below the cage the included rod clamp holds the included 7.9" 15mm rods at the correct distance from the lens, conforming to the 15mm LWS standard. Box Dimensions (LxWxH) 11.65 x 10.3 x 3.5"